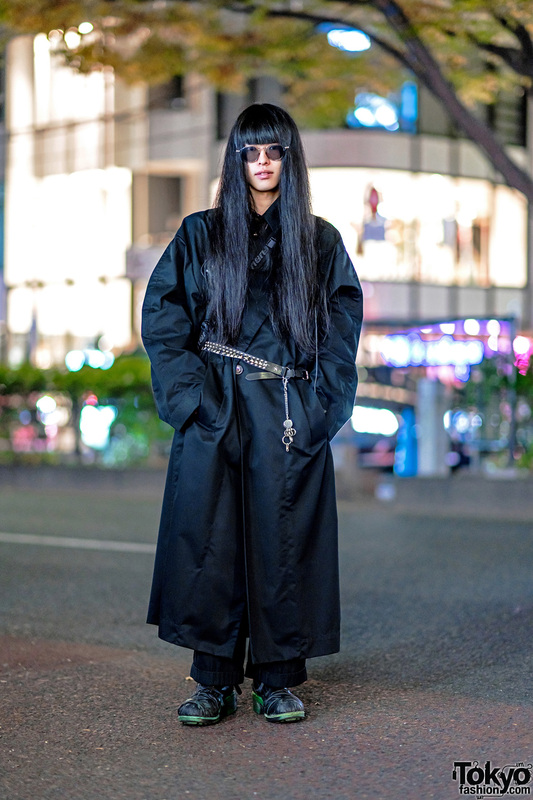 Japanese student and model sporting a colorful edgy style while out and about on the street. Japanese students wearing handmade and remake avant-garde fashion – including a mask and headpiece – on the street in Harajuku at night. 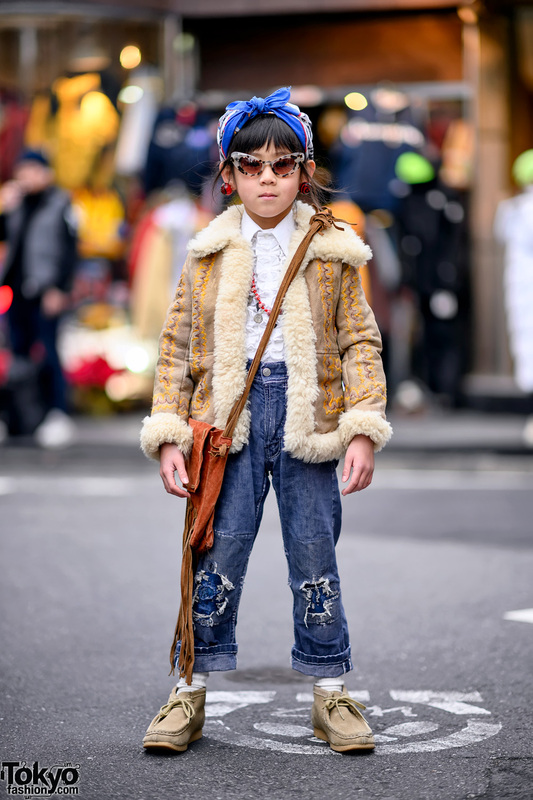 Silver haired Harajuku girl in a vintage polka dot jumpsuit with a pink haired Harajuku boy in an oversized blazer, vintage pants, Kinji bag, and Gucci belt.